Each Tuesday we feature audio or video of an SR Contributor reading their work. Today we’re proud to feature a podcast by Kamilah Aisha Moon. Kamilah Aisha Moon’s work has been featured in several journals and anthologies, including Harvard Review, jubilat, Oxford American, and Villanelles. She holds an MFA in Creative Writing from Sarah Lawrence College. 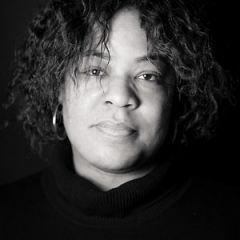 She currently teaches and writes in Brooklyn and is the author of SHE HAS A NAME (Four Way Books).